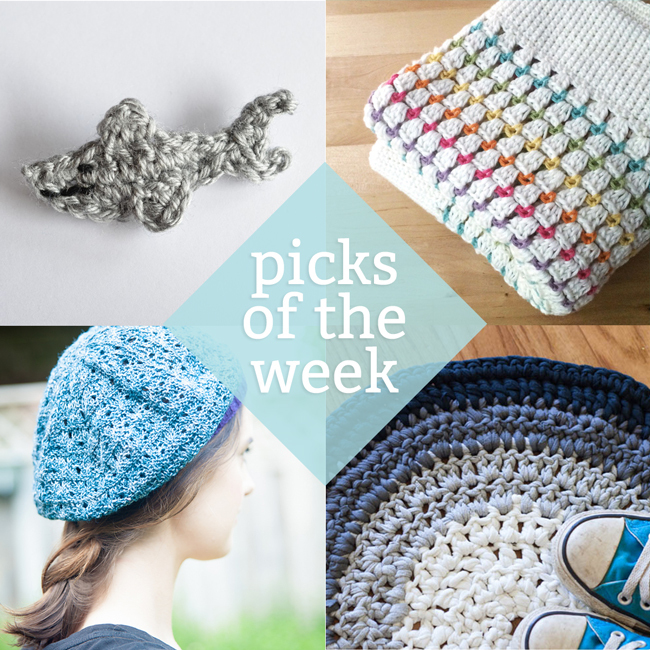 It’s Friday, and it’s Shark Week, and it’s Chicago Yarn Crawl week! There’s still a month left of summer, too! Life is good, and the weather is too (here in Midwestern America), so I’ve got nothing to complain about. 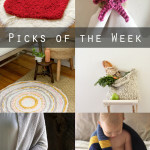 I’ve got a bundle of knitting and crochet to work on this weekend, including all of the fine inspiration in this post to keep my brain yarn-occupied. 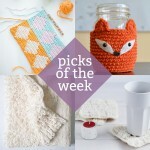 :) TGIF! 20 amazing backpacks, picked by yours truly for Houzz. The Chicago Yarn Crawl is this week, and of COURSE I went. You’ve got til Sunday to get in on the action. How to DIY yarn swatch wall art. 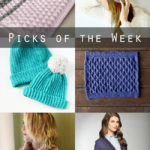 Previous Post: « Chicago Yarn Crawl! 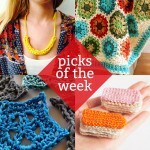 Thanks for featuring our Crochet T-Shirt Yarn Rug!